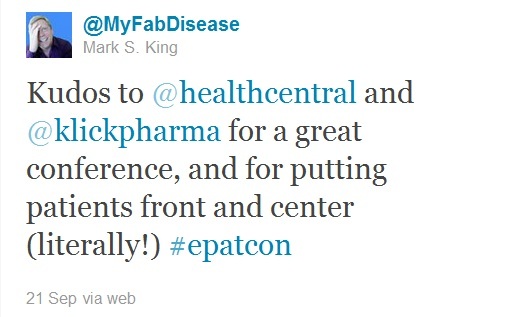 As day two of the e-Patient Connections Conference 2011 (ePatCon) unraveled I found a familiar phrase constantly replaying itself in the background of my mind. "Knowledge is Power"...a loaded statement proclaimed to me and countless others every single day by my childhood charter school KIPP. Now let's take a minute to dissect it. 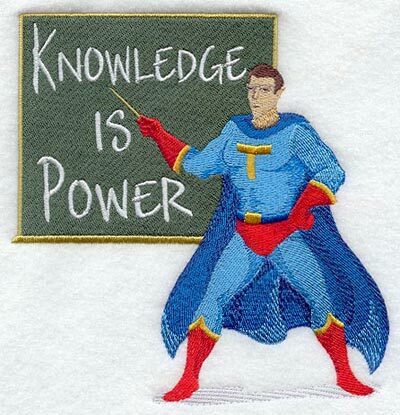 I think most of us would agree that knowledge is most definitely powerful, but aren't there mechanisms that we much first utilize to make it so? Actions being at the forefront. When we take action by sharing what we learn; knowledge will then have power! If that isn't motivation to pass pertinent information along the grapevine; I don't know what is! Quite amazing that all this pondering took place before 8:30am during breakfast, eh? Settling into my reserved seat in the Hyatt at the Bellvue ballroom for day two of the e-Patient Connections Conference; I began to prepare myself for a day of learning. Chris Schroeder, of HealthCentral was the first keynote speaker. 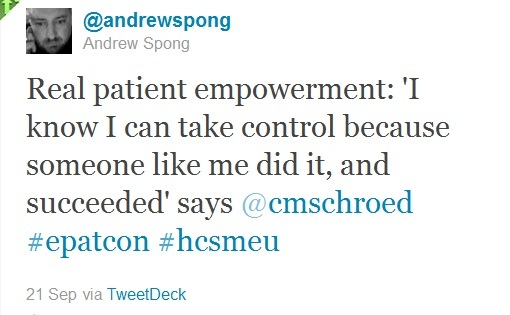 He blew my mind away with his very own revelation of patient empowerment! He challenged us by asking, "What is more important than taking control of your health? "...Truly I find none more important. My days are consumed with personal research of my own to rise above my diagnosis of lupus and strive instead of just surviving. Chris continued to exclaim," Where are the pitchforks and torches!? Where is the, "We are mad and aren't going to take it anymore!" in health care? Do you hear that patients? It's a roll call of sorts, a bellow through the loud speaker asking each and everyone of us why we aren't doing MORE to better our health care. After all EVERY ONE is a patient; why is it so hard for pharma, physicians, and patients to all collectively think like one? You can read/watch Chris's full speech here. Chris was followed by Harris Rosen, a Hotel owner who was so frustrated with the health industries indifference to his employees that he created his own health care facility! His only iron-clad rule for all employees is absolutely no smoking, but at only $45 a week you get top of the line health care. 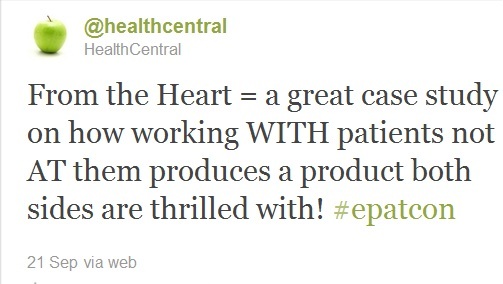 Let's hear it for health care innovation at it's best! This launched a heated discussion through the twitter-verse on whether patients truly "get it"? Some individuals felt that patient literacy was a huge problem while others decided they disagreed with Rosen's no smoking policy and deemed it too controlling. As I filtered through the conversation it seemed that a lot of people were leaning towards patient education being the culprit behind our broken health care system which I STRONGLY disagree with. Once this was uttered in the twitter verse a frenzy arose and ePatients began to take the helm with their valuable opinions. Personally, I believe their must be education on all sides of the health care round-table. Patients should be sitting at the helm and pharma and physicians should be gathered with them to share perspectives and work towards the same positive goals that will reform health care for the better. Even the audience at ePatCon was engaged; a physician remarked that technology could be utilized for patients to reduce the amount of doctor visits. Ron Gutman of HealthTap took the stage and inquired why doctors weren't on the same page with everyone else and using interactive health as a mechanism to improve their health care. Continuing to say that interactive health would promote transparency, quality, and better doctor relationships for patients. All this rang true as I replayed scenarios from former doctor visits in my mind. Then I pondered on why I never spoke up and said something all those years. It's been a long road for me as a patient; one thing for sure is I will never be content to play the docile patient anymore! Vladamir Castillo followed after Ron and presented on how engaging the patient should occur on day one and how insights could be used to better the patient experience. Leaving us with the mind-blowing statement, "It's not what we can do at pharma; we should be doing our job with passion and to be there for them [the patient]." 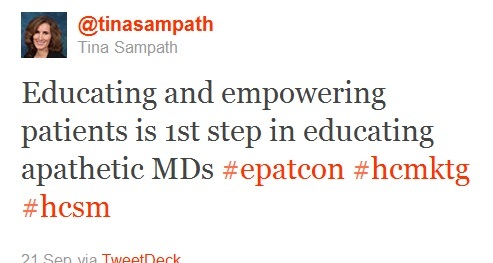 Tina Sampath blew me away by quoting Spike Lee,"Do the right thing!" 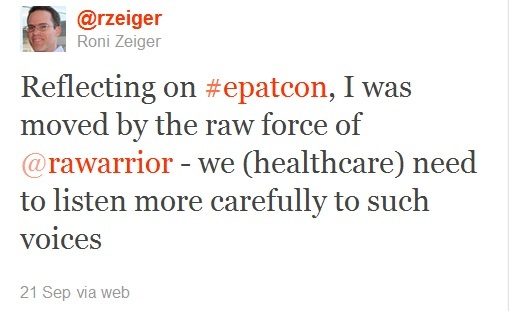 as her response to pharma/physician in health care. I mean here is a pharma rep for Gilead who outright placed real patients front and center in her presentation complete with video footage and even in person right on stage. There were several moments when I proclaimed how impressed I was with them as a pharmaceutical company who showed respect for and valued patient input via the twitter-verse. Truly a ground-breaking occurrence that all other pharma and physicians need take notes of! Tina's presentation brought the power of a patients' story to light. The oil that will grease the health care systems broken down engine IS the patients' input! 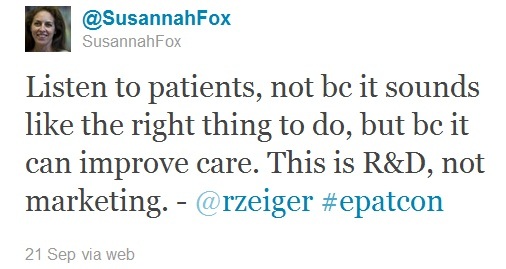 The time has come for pharma and physicians to recognize and respect that and find a way to make progress happen. 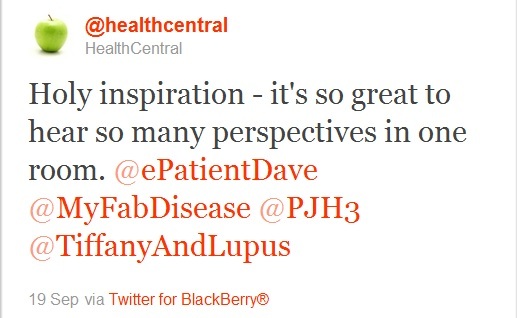 Once the importance of a patients' story began to unfold; ePatients took to the twitter-verse to share their perspective on it all. There was a lot of inquiry into why so many "health community sites" arise instead of already helping to promote the patient-run communities. Why create something that already exists if you can help the progress of one that is in existence already? This often leaves most of us ePatients feeling alienated and ignored in spite of all we do to help our health communities. During lunch I had the pleasure of being interviewed by HealthCentral's Amanda Paige. She asked me what my thoughts were regarding the "Digital Patient Bill of Rights" and how it felt to be a part of it as well as how social media has influenced me as an advocate. The charming Mark S. King also interviewed me for his blog; My Fabulous Disease and inquired about my perspective on blogging and asked how I would describe my illness (Lupus) and relate it to his. (HIV). All of these video clips will be showcased in my next blog post; so stay tuned. Day 2 at ePatCon came to a conclusion with Brian Loew of Team Inspire and my fellow rheum sister Kelly Young (RaWarrior). Major kudos to Brian for being upfront and mentioning that ALL power was of the patients who became empowered to help their diseases and disabilities while claiming no credit for himself or his phenomenal site. So proud of Kelly for implementing how patient input is imperative to the progression of health care. You can't fake passion! All the patients who were in attendance are proof of this. Each of them have no financial motives or gain from the hard work they put into their patient-centered communities online. They became EMPOWERED because they CARED not only for their health but for the health of others as well! It's time for pharma and physicians to finally get on board with us patients and emphasize the CARE in health care. What are your thoughts on the input of patients and their stories? Do you find them valuable or not? Do you feel that pharma and physicians are on board for progressive health care? What are your thoughts of the patient being the top stakeholder at the health care round-table? Share your thoughts! I'd love to know. Truly very helpful website, Thanks for your great blog post friend, i get fresh knowledge, fresh thoughts to do somethings, i expect you will share again; i stay waiting for after that post, thanks.